PATIENTS are spending several days waiting for treatment at the country's poorly resourced public hospitals and many are dying prematurely due to lack of drugs, an investigation has revealed. After senior doctors at Harare's Parirenyatwa Hospital exposed in graphic detail the extent of the rot at the country's major health centre in a meeting with Health minister Obadiah Moyo last week, this publication assessed the situation at provincial hospitals. At Mutare Provincial Hospital patients on Friday said they had not been attended to for several hours and authorities blamed this on understaffing. A senior administrator at the hospital, who spoke on condition of anonymity, said the institution like any other public hospital, had been facing a myriad of challenges. He said people living with HIV instead of getting one month's supply of anti-retro-viral drugs, were only being given two weeks' supply. "There is no medicine at the hospital. The problems that we are facing here are also the same problems that are being faced by other public hospitals," he said. "Doctors here have not been on a fullblown strike ever since their association called for a strike, but they have been doing passive strikes. "Instead of coming to work at around 8am, they will arrive at 11am and attend to a few patients. "They will leave the hospital at around lunch-time and return to work after 3pm and attend to few patients before they knock off." "Staff morale is very low, I think there should be a state of emergency to address the challenges we are facing at this hospital." The official added that some patients were now shunning the hospital as they had been paying consultation fees without getting assistance. Consultation fees are around $9. A patient, who identified himself as Munyaradzi Ruzive, said he had been coming to the hospital for two days without receiving treatment. "It's now my second day here and I have not received treatment," he said on Friday. "I paid consultation fees, but I am yet to be helped. Just imagine I came all the way from Chimanimani." Tinashe Mungazi said he had been waiting to get service for several hours. Wallace Mupfumwa of the Freedom to the Disabled Persons of Zimbabwe said people living with disabilities were the most affected. "We are worried about the situation at our local hospitals especially at Mutare Provincial Hospital," he said. "Our members are supposed to get first preference, but they wait in long queues for days and I believe that this should be addressed as soon as possible." However, Manicaland provincial medical director Patron Mafaune insisted the hospital was working normally. Gweru Provincial Hospital is also faced with a shortage of drugs and consumables critical for the treatment of patients coupled with a host of other operational challenges. The health institution is the biggest referral hospital in the Midlands province located on one of the busiest highways in the country - the Harare-Bulawayo road. It receives high numbers of patients involved in road traffic accidents and others from rural areas. Doctors said their work was being eriously hindered by lack of drugs and basic equipment such as gloves. The hospital has an intensive care unit with only three beds and the doctors there say it's too small for such a big health institution. "We are also understaffed and cannot cope with the disease burden here," said a doctor on condition of anonymity. "Doctors are working under very difficult conditions." 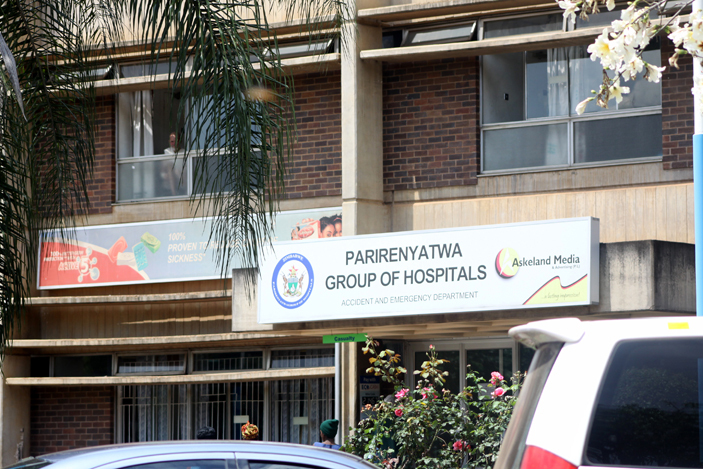 Midlands provincial medical director Simon Nyadundu said he could not comment on the matter as he was out of office. The situation was the same in Bulawayo, Gwanda and Masvingo.